Just because someone has already registered your dream domain doesn’t mean it’s out of reach. 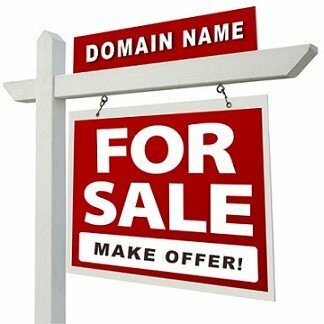 With Ginger Domain’s Domain Buy Service, our professionals will do everything they can to get your ideal domain by contacting and negotiating with the current owner on your behalf. Contact the owner : Our Domain Agent will attempt to reach the current domain owner to discuss their interest in selling the domain. Negotiate the sale : If the owner is willing to sell, ur Domain Agent will work with you and the seller to negotiate a price you’re both happy with. Facilitate the transaction : If an agreement is reached, you and the seller can proceed with confidence as your Domain Agent oversees the sale. Trust the company that knows domains better than anyone else. We manage many domains, so we know how important it is to have the right domain for your business or personal website. Our professional Domain Agents are dedicated to helping you get the domain you want at a price that works for you. You can email us the domain name on [email protected] or fill our contact us form with the details for the domain name that you wish own. Within two business days, our personal Domain Agent will send all the details about the domain name. Once our agent has contacted you, then you will be able discuss the process and find out more about the domain price etc. Also they will answer any questions you might have at that point of time. After speaking with our Domain Agent, they will try to contact the current owner to relate your interest in his or her domain. If the current owner is interested in selling, our Domain Agent will negotiate to get you the lowest possible price, never exceeding your maximum. If the current owner agrees, our Domain Agent will help facilitate the sale to ensure that it goes through quickly and smoothly.